1,836 words today. Pushed over 30k for the month. On target for NaNo goal, put the MC through the ringer tonight. But she is about to find out some info that will edge her to the dark side. Muwahhahahaha! Two weeks into NaNoWriMo, and I’m just a little short of the overall pace. I’ll need to increase my daily rate to 1,739 to finish on time. I’ll have the weekends and some vacation days to help meet my goal. Woke up to the news about the atrocities in Paris. It’s hard to stay motivated when you know people are suffering, and you’re half a world away and can’t help them. We have overcome horrific events before, I believe we will overcome this as well. We have to overcome, we have to stay strong. We have to teach our kids and the young, impressionable people in this world, that helping people brings more joy, more love, more advancement of our culture then the blatant disregard for life. This needs to start at the top, with all the leaders of the world. We cannot progress as a race if we continuously have extreme pieces of our race sabotaging that progress. We will overcome. We will persevere. So, I’ve decided to participate in NaNoWriMo this year, and progressing toward 50k. Just under daily goal, but since I’m on vacation the next couple days, I should be able to boost my word total. Benefiting from a reworked outline is really helping. Lots of distractions, from current events to a backlog of TV shows to watch. A friend and fellow writer posted a tip on how to capture ideas, or continue your work in progress, when you are out and about. Carrying a small notebook or index cards can help you capture those ideas before they are lost to the wind. But what do you do when you forget everything but your smartphone? If you have an iPhone, there are several apps that can capture those ideas, such as Notes, To Dos, Evernote, and yes, even sending an email to yourself can suffice. What if you wanted something more? What if you could capture an idea and begin writing a first draft, in the same app? Then I would recommend Story Skeleton. It’s a story mapping tool that helps keep your thoughts and ideas organized. Want to continue a work in progress? Importing and Exporting via Dropbox is a cinch. You can also send via email. And the best part? You can export your file in 6 different formats, like .Rtf, .Txt, and even .Scriv. Yes, you can export file into the Scrivener extension. Give it a try. You may never forget another writing idea again. 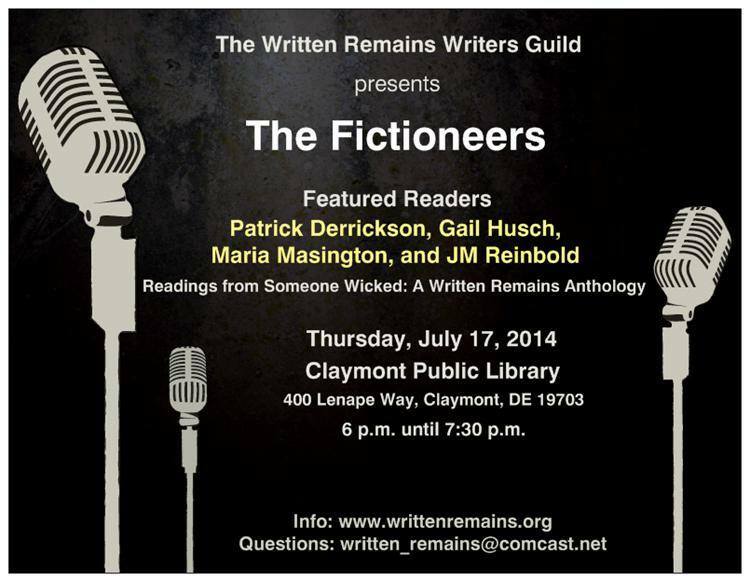 Join local writers the first Saturday of each month for fun, food, and merriment, as we get together to discuss the art of writing. 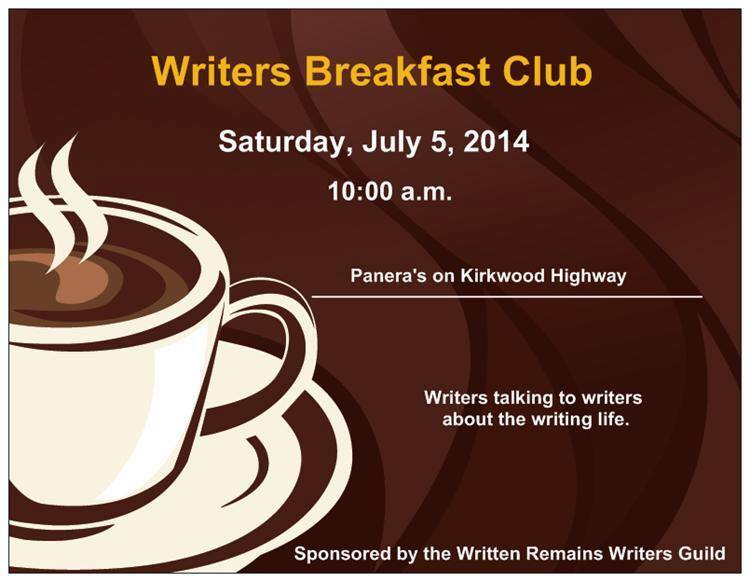 We meet at the Panera Bread on Kirkwood Highway, at 10:00AM, in the reserved community room. Someone Wicked, one of best anthologies on the market, is now FREE for the weekend. Please visit Amazon and pick up your copy today. And when you’ve finished it, leave some comments sharing your favorite stories.